Halitosis can be determined by oral, systemic or physiological conditions. The complexity of halitosis has imposed the development of a treatment system – the NT Necessary of Treatment. 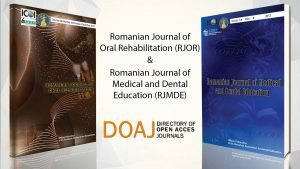 The purpose of this study is that of assessing the efficiency of a complex of therapeutic measures, according to the necessary of treatment grid NT1 and NT1 in a batch of patients diagnosed with forms of physiological halitosis and oral pathological halitosis. These patients have benefited from therapeutic measures according to the NT1 necessary of treatment, respectively NT1, according to the type of halitosis. The efficiency of the applied treatment was assessed at an interval of 3 months after the main examination and comprised the same methods of assessment as at the beginning. 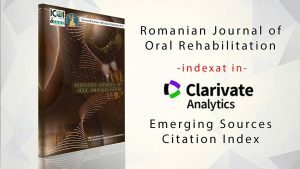 As a result of the analysis of data obtained after the therapeutic measures applied in our study, we can speak about major favourable modifications as regards the quality of the oral breath of the patients who participated in the research. We have noticed a clear improvement in all the patients assessed. The scores diagnosed through the halitosis detector substantially decreased, becoming favourable, indicating the absence of halitosis.